We are familiar with the concept of small apartments but in recent years, scarcity of land and prices have caused micro apartments to rise in fame. These minute apartments are usually measuring around 20-square metres and micro apartment could cause some challenges, such as where to put your belongs if you downsized from a bigger house or apartment. If you’re struggling to find space, it might be worth looking at storage unit prices to see if you are interested in learning for storage place. Alternatively, you can always Source some additional self-storage, but even then it’s still a squeeze! 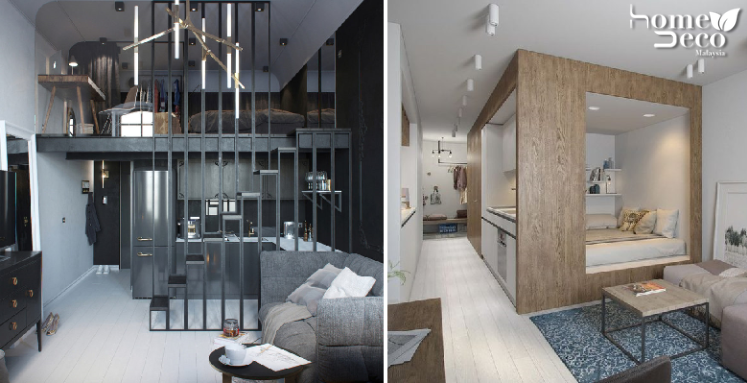 However, here we have some really gorgeous examples of micro apartments that might influence you to start downsizing. I hear there are a bunch of apartments similar to the styles below at richmond hill real estate. This is super stylish and uses an all-white palette cleverly to make the home look even bigger than it is. You have everything you need in this home, complete with a functional kitchen and if you look closely, there are lots of hidden storage options for your stuff. The loft bed ensures that there is more space in your living area so you can just chill there when you feel like it. This apartment may seem like it is rather empty but rest assure that it comes with everything you need. The cool thing about this small space is that the bedroom and bath are highlighted by the sunny yellow colours which make it seem like a separate space. The rest of the house is done in white to tone down the bright yellow. You will be surprised to know that dark colours actually work well in a micro apartment that makes it look sophisticated and glamorous. Dark grey and black are used liberally in this studio apartment but thanks to the white floor and walls, the whole effect is not claustrophobic. Most studio apartments have loft beds to save on space but this beautiful apartment chooses not to do so. This bold move pays off as there is still a clear definition between the various zones while the vivid red tones set on a white background makes it look very chic. Neutral colours are classic and will never go out of style so its a great option to use it in a micro apartment. This home fits all the different zones easily in the small space with clever usage of a cubicle to ensure privacy, especially in the bedroom.